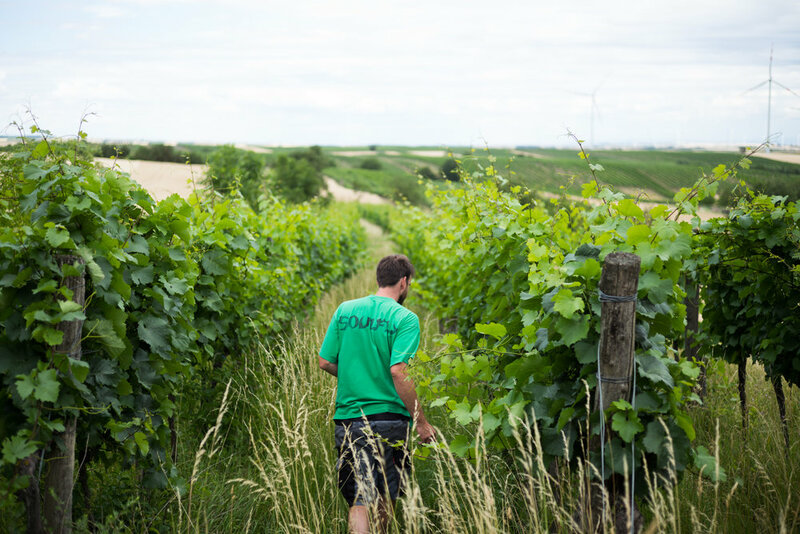 Michael Gindl took over the family winery in the village of Hohenruppersdorf when he was just 20 years old. He changed the name of the estate to ‘MG Sol’ after Hohenruppersdorf’s prized ‘Sol’ vineyard - a parcel that dates back to the 14th century. Michael also started to cultivate his 10 hectares of vines biodynamically, aiming to return to the more traditional winemaking methods of his grandfather. To this day, he works as naturally as he can both in the vineyards and the cellar. Michael’s winemaking style very much stands out in Weinviertel, a region that is largely known for conventional wines. His vines grow on fertile loam and loess soil, but are planted very densely - forcing the vines to compete for nutrients and develop complex root systems. As a result, the yield is very low, and the fruit beautifully expresses the regional terroir. Michael’s vinification style is also unusual for the region: his wines are all spontaneously fermented, aged on the lees for prolonged periods of time, and bottled without filtration. Some of his grapes are also kept on the skins for several months before pressing, producing powerful and complex wines.